That passed the whole year! Your baby has already learned to sit, stand, perhaps walk. So many small discoveries was this year in your family. First smile, first laughter, the most expensive first "mA". Your baby is all grown up. Congratulations, the most difficult is behind. It will get easier. You did it, pass this path with dignity. And most importantly. Only a few days left until the first birthday of your baby. And, of course, the question arises as to celebrate the first birthday of the child? Actually, there is one correct answer, which lies directly on the surface, you know. Celebrate the first birthday of the child as you want as you think you need. And believe me, it will be the best holiday. The kid, though grew, but still can not Express their opinion. The best thing for him to have a mom and dad who care about him and love him with all my heart. So don't worry. As you decide, so be it. There is no universal way of celebrating the first birthday of the child, every holiday in its own good. 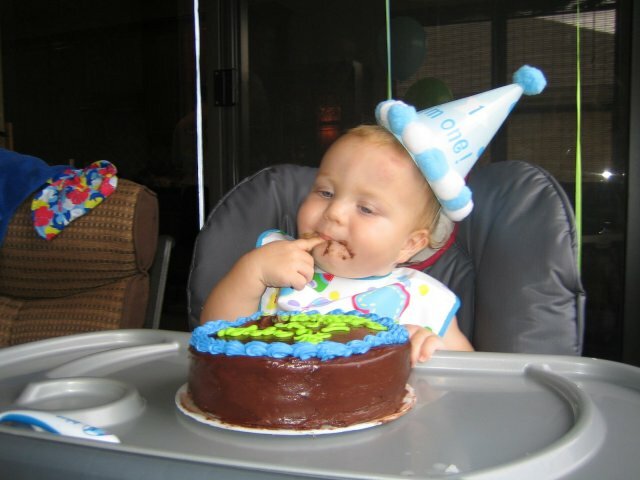 But, organizing the first birthday of the child, remember the following General guidelines. On the first day of the birth of the crumbs don't need to invite too many people. It's not a wedding. Baby will be cozy and comfortable among the several familiar people than in a crowd of all-all relatives, half of whom he doesn't even know. And don't be afraid to offend by not inviting to the birthday child. I think your relatives and friends – people are adults and will understand your decision. Pay special attention to the menu. 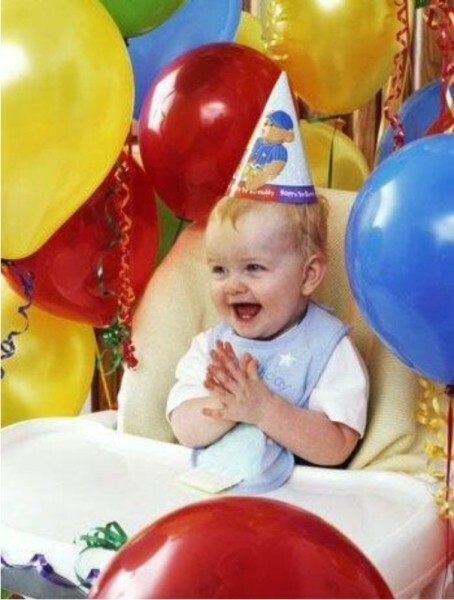 Remember that this is the first celebration of your child, and it will be nice to see cheerful guests. Fun, but not drunk. So do not overdo it with alcoholic beverages. It can ruin the whole holiday, or even scare the baby. 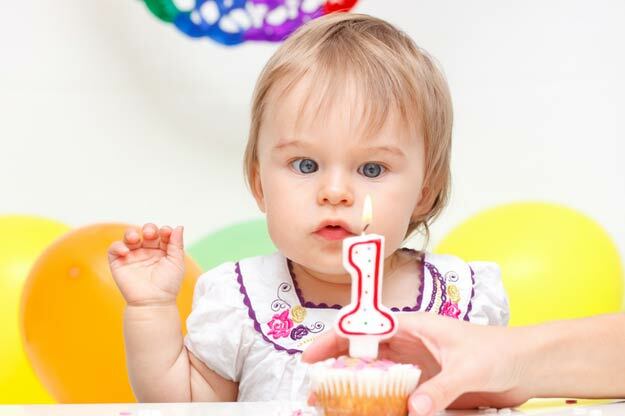 Most likely, on the first birthday of your child will be other children – brothers, sisters, children, godparents. Make sure children are never bored. Prepare in advance toys, inflate the balls. In the end, the kids come to eat and play with each other. And the parents will be much easier when the children are toys, not running around the house. Your baby is so big, but at the same time still so small. How to make it clear to him that it was his little holiday? I will share my experience. And you will be able on this basis to decide how you will congratulate your child. As Nastaska we have Sonia, my husband and I decided to make a surprise to her, when she is in the morning to sleep. We blew lots and lots of balls (10-15 pieces), bought a beautiful cake, a candle in shape of number "1" and made a party hat. For a one year old that was more than enough. You should have seen how she was surprised to see such a number of balls playing with them. Hood remained in the business, because Nastya hard it was making. Then we lit the candle on the cake together and blew out her. And I mentally made a wish. In fact, it is a minimum. But the child won't need to. He still does not understand why mom and dad brought so many balloons and bought a cake and asked to blow on the candle. Child care what you present to him. It is glad to any gift. And even more baby glad that you're around. The first day of birth, day of responsible. But don't worry, everything will be as you dreamed. Remember this day. He's so important in your life. Just a year ago you were lying in the maternity unit, was scared of childbirth, worried. And today your baby is already walking towards you yourself! I sincerely wish that your holiday was amazing and memorable to guests even remembered it for a long time. Make a wish this day, believe me it will come true. After all this is your holiday too. You gave life a charming baby. Make sure he was the happiest!